Get the audio equipment you can trust, made with care and skill in our factory in Worcester since 1908. Robust: Our equipment is robustly designed to withstand everyday life. Reliable: Coombers are used in classrooms all over the UK, in dance studios, churches and community halls. Professionals from all fields trust our audio equipment to deliver high quality sound in a professional setting. 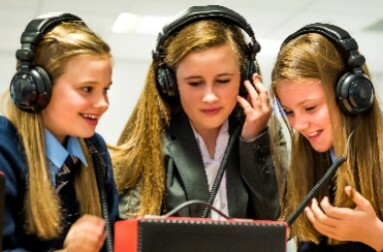 Easy to use: Our engineers create the audio technology inside every Coomber to be as easy to use as possible so that you won't have to worry about operating the machines while teaching, presenting or performing.